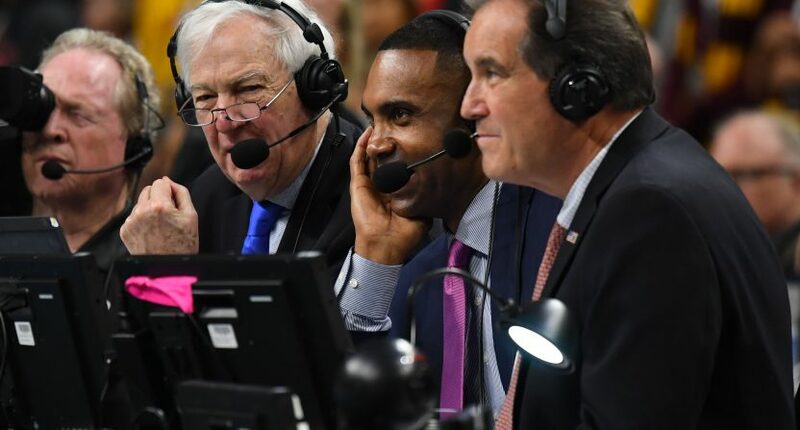 Which NCAA Tournament broadcasters shined this weekend? We’re back again for the second straight year, asking you to rate the NCAA Tournament announcers. The rules are simple – we’re going to list all eight crews assigned to NCAA Tournament games over the first weekend (not including the tweaked trio that called the Wednesday First Four games), and you’re going to give them a grade from A to F. Once the voting concludes, we’ll tabulate each crew’s grade on the four point scale (with an A good for 4, a B 3, and so on and so forth down to a 0 for an F) to determine which tournament broadcast crews you love, and which you simply can’t stand. You’re voting based on the crew as a whole, so if you love the analyst and hate the play-by-play announcer, you should take that into account. Because I’m a benevolent poll master, I’m listing all of the games called by each crew this tournament and linking to the NCAA’s extended highlights packages on YouTube for each game. The polls will be open through 11 PM ET/8 PM PT on Wednesday, March 27th. The results will be posted on Thursday, prior to the start of the Sweet 16 games. Here are last year’s rankings, in case you missed them.